Cash – You may deduct 100% gifts made by check, credit card, or payroll deduction. Ordinary-Income Property – For stocks and bonds held one year or less, inventory, and property subject to depreciation recapture, you generally may deduct only the lesser of fair market value or your tax basis. Long-Term Capital Gains Property – You may deduct the current fair market value of appreciated stocks and bonds held for more than one year. 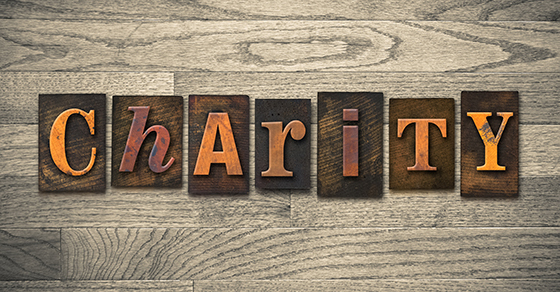 Vehicle – Unless the vehicle is being used by the charity, you generally may deduct only the amount the charity receives when it sells the vehicle. Use of Property – Examples include use of a vacation home and a loan of artwork. Generally, you receive no deduction because it isn’t considered a completed gift. Services – You may deduct only your out-of-pocket expenses, not the fair market value of your services. You can deduct 14 cents per charitable mile driven.